It’s a question educators face constantly: how to make the lessons of the Holocaust – the darkest chapter of the 20th century – meaningful and relevant for students in the 21st century. 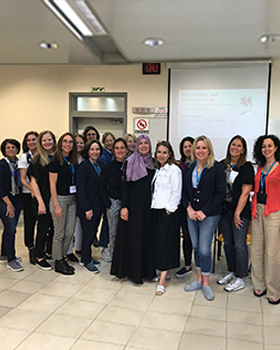 The program, made possible through a grant from Yad Vashem and the Holocaust Memorial, brings 10 educators from Miami-area Jewish institutions to Jerusalem for 10 days. There, they study with internationally respected Holocaust educators at Yad Vashem, Israel’s official memorial to the Jewish victims of the Holocaust. In return, participants agree to complete one educational project for Yad Vashem and one educational project for the Holocaust Memorial on Miami Beach; meet twice as a group after returning to Miami; bring their classes to the Holocaust Memorial and meet with a Holocaust survivor living in South Florida. In the first three years of the program, 30 Miami-area teachers have participated in the Institute. 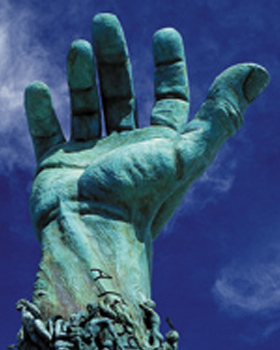 In fact, the Holocaust Memorial Miami Beach of the Greater Miami Jewish Federation has sponsored more teacher-participants than any other community in the United States. “The key to preserving the messages of the Holocaust from one generation to another is education. 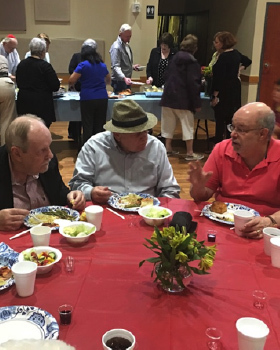 The best way to maximize educational opportunities is to inspire and immerse our educators in the events of the Shoah,” said Holocaust Memorial Miami Beach Chair Andrew C. Hall, himself a child survivor of the Holocaust. The experience allows teachers to meet with Yad Vashem professors and university scholars and explore more multi-dimensional approaches to Holocaust lessons, incorporating the history of the Six Million with in-depth focus on the stories of Jewish life in Europe prior to the Holocaust. 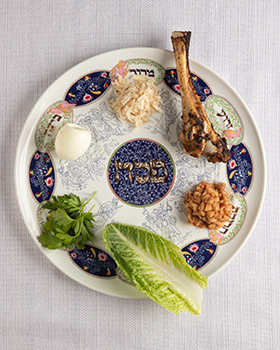 The goal is to give students an idea of the depths of Jewish life that was lost to the world. After the teachers return to Miami, the Holocaust Memorial does follow-up with them to guide them in Holocaust curricula for their classes. Participating educators report they have found creative ways to bring what they have learned to hundreds of Miami students. Teachers who have participated in the Holocaust Memorial Institute at Yad Vashem bring their own students to the Holocaust Memorial on Miami Beach. Schurz had been to Yad Vashem before, but never with the professor instructors who were part of the Institute. What struck her most were stories about the everyday items on display at Yad Vashem – suitcases, shoes, books, etc. – that belonged to European Jews before they were sent to concentration camps. “Students can relate to stories about these items because they can think about what they would do with their own suitcases or books if they were in that situation,” Schurz said. She is already speaking with fellow Hebrew Academy teachers about ideas on how to incorporate Institute lessons into future course materials. “They are very excited about it,” she said. Only teachers from Jewish institutions may apply to attend the Institute, and grants are limited. Teachers of students in grades six through12 will receive priority. Cost is approximately $500 and includes airfare (participants arrange their own air travel, with a $1,000 stipend given upon completion of the program), hotel (double occupancy), food (three meals daily), transportation to Yad Vashem daily and conference fees. It does not include roundtrip transportation from Ben-Gurion Airport to Jerusalem and any personal expenses. For more information and to register, please contact Sharon S. Horowitz, Holocaust Memorial Miami Beach Executive Director, at 305.538.1663 or shorowitz@gmjf.org.